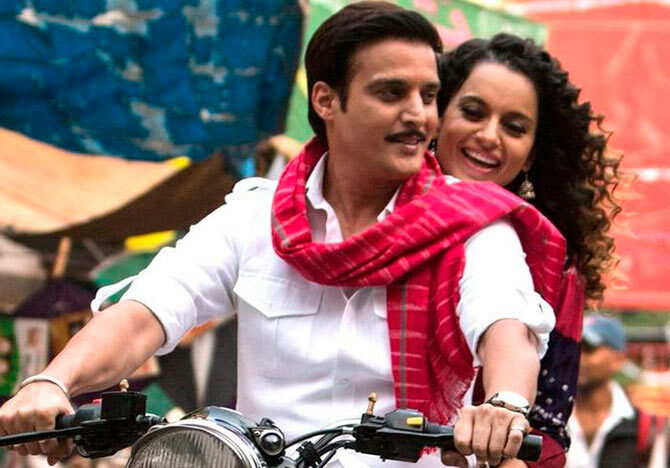 Jimmy Sheirgill has moved on from his Mohabbatein days, and prefers to do more intense roles. 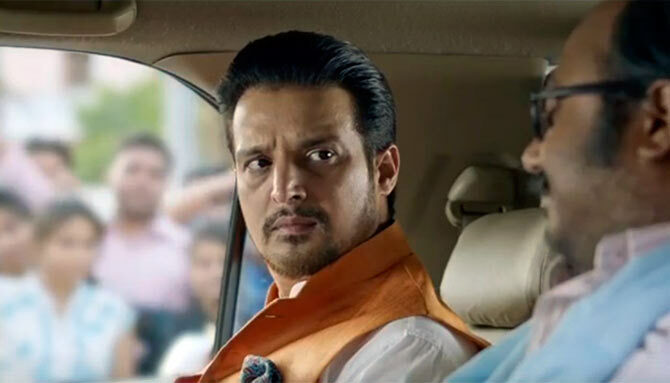 His latest film Shorgul sees him play a fierce politician, who will go to any extent to get what he wants. That, of course, is very far removed from his demeanour in real life. He's very down-to-earth, and continues giving interviews even though it's way past his lunch time. The actor tells Jahnavi Patel/ Rediff.com more about his film, and what it's like being a superstar in Punjab. What convinced you to take up Shorgul? It's a powerful character, a character I hadn't portrayed before in any film. It was the character of a fierce politician who believes in what he does and can go to any extent to achieve what he wants. At times, he will look good, at times he will look bad and at times, inspiring. It is definitely not, because when you're doing a biopic, there is a procedure you go through. No producer is going to waste Rs 10-12 crore on a movie that's supposed to be a biopic without going through the procedure. The film is actually a love story with a political backdrop. It's about how this beautiful, realistic love story suddenly gets intertwined with politics and how it gets blown out of proportion. It has the backdrop of UP (Uttar Pradesh) politics. Since my character was a fierce politician, we needed a different look. So I grew a beard, which I haven't done for any other film, to make me look mature. Then there was the detailing of the clothes. He was a politician so he would wear white kurta-pyjama but we added a koti (jacket) to give it an edge. There was some detailing of what kind of shades he would wear. We kept this character a little gaudy -- he's wearing golden shades, a gold watch and a gold kada. We did these small things to work out the look of this particular character. After that we shot the film. It is entirely shot in Lucknow. The heat was unbearable... it was 55 degrees at times. I can never forget dressing up like that for a rally with 5,000 people, and people going mad (in the heat). It was crazy but when you look at the film, you will say it's great. You have grown up in Uttar Pradesh. Did that help you to get the nuances and mannerisms right? My early years were spent in UP and Punjab. Somewhere, that has helped me to do characters that are UP-based or the Punjabi films that I do. When you've grown up there, you know the small details, like how a person would talk. Take Fugly. I have studied in boarding school and had friends who were Haryanvi. So I could understand the tone of my character as a Haryanvi Delhi cop. It doesn't mean that there's no hard work. You have to put in hard work. But when you're from there and understand these things, the effect of the hard work comes in faster. Is it a deliberate decision to experiment with roles? It has always been a conscious decision. Post Mohabbatein, I was written about as a chocolate boy everywhere. So films like Haasil and Munnabhai MBBS, which were more intense, were a conscious decision, so that I didn't get slotted in a particular image. You've been a part of the film industry for almost two decades. How important is it to promote a film today? It is very important. There are so many films coming out, and so many big films at that, that you need to have the visibility. Today you have so many more platforms to promote your film. I remember when I started off, be it for Mere Yaar Ki Shaadi or Dil Vil Pyaar Vyaar, we travelled to the major cities, held press conferences and showed the trailer and songs and that was about it. At that time, radio was the major thing. Today digital has become such a huge platform that you cannot miss out. Everyone is on Facebook or this or that. Television has always been around, but it has now gone one level up. You go to news channels, reality shows. It's all about visibility. You may have made the best film but if you don't have visibility, in terms of people not knowing when the film is coming out, by the time the film builds up the momentum some other big film will come and you may lose out. People will end up watching your film on television. Word of mouth publicity also helps movies. Word of mouth has always been around. A film may not get a very great opening, especially if it's a small one, but two or three days later it may have such great word of mouth that people will watch it. The biggest example of that is Tanu Weds Manu Returns. The way it took off was amazing. People were genuinely enjoying the film and at that point of time, no review or critic mattered to them. At the end of the day, you have to rely on content. 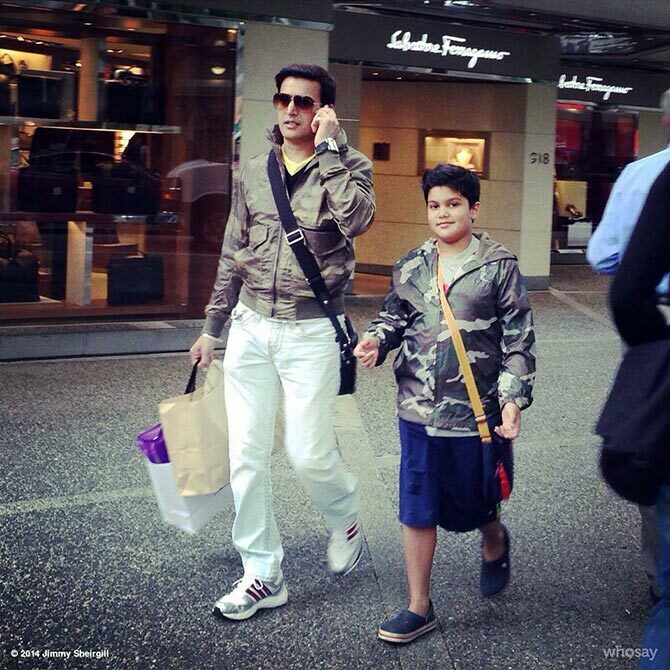 Do you manage to spend enough time with family, given your busy schedules? Yes. You have to strike a balance between your career and family life. I don't think it's been too difficult for me because I am the kind of person who goes to work in the morning and comes home in the evening, rather than going out here and there. If I'm on location and my son has school, he visits me on his long weekends, and I get that little time with the family. There's a balance you need to strike. Sometimes it does become hectic, which they understand. But I am not partying, I am working. You are a superstar in Punjab. It's an emotional connect. I am from Punjab so people know what I've achieved and tried to do for Punjabi cinema. I have a strong emotional bond with the Punjabi audience and try my best to not let them down in any way. Films will come and go, some will do really well and some will be okay, you have to learn from that and move on. But rest assured, you know one thing: they love you, and that's the most important thing. And you love them back, probably twice as much. Is there any biopic you'd like to be a part of? Shaheed Bhagat Singh. I would love to do a film on him. 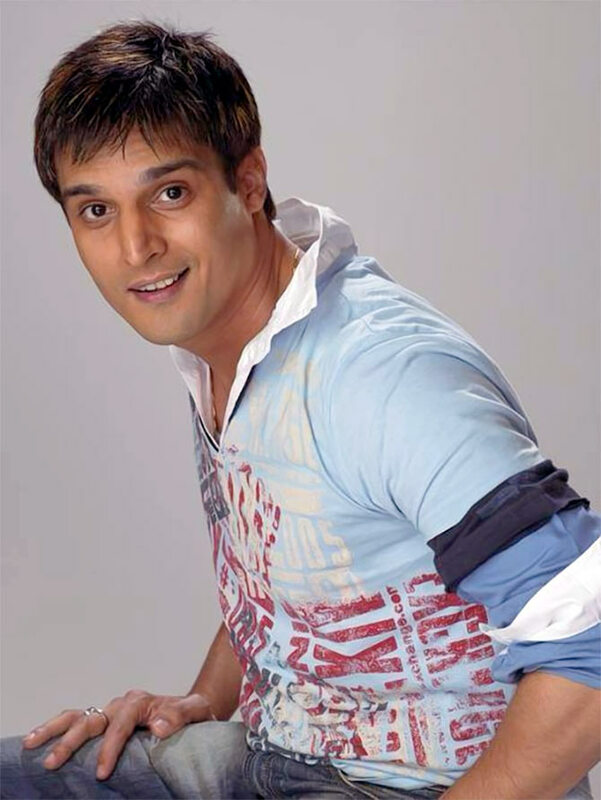 IMAGE: Jimmy Sheirgill in Shortcut Safari. There were reports that you want to be a part of a sports film. I had said that a film on sports or children is very close to my heart so anything that comes to me which I feel like, wow, I can be of some help or support to it, I'll do that. 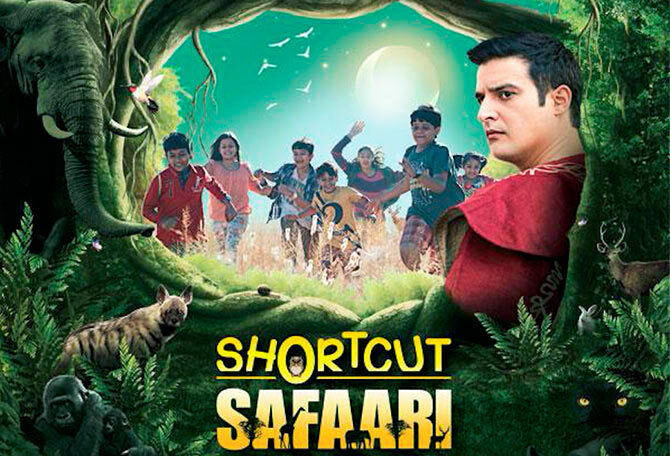 Recently, I did a small role in a children's film called Shortcut Safari. It was four or five days' work. I went to the jungle and shot for it and I had a great time. I've known the director, Amitabha Singh, since a very long time. He's a friend. The moment he told me it's a children's film, I said I'll be there. More children's films should be made, especially by bigger production houses because then there will be variety. I don't see much happening in terms of children's films in our industry. Madaari is releasing next month with Irrfan. In August, I have Happy Bhaag Jayegi, produced by Aanand L Rai and directed by Mudassar Aziz. It's an out-and-out comedy.